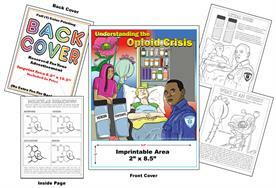 This book is designed by educators, police and fire officials. 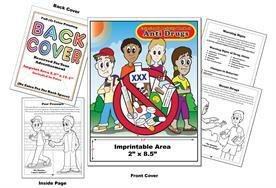 Designed for pre-K to grade 6, it teaches about being anti drug. What type of effects drugs can have on your body. This wonderful book will help children learn about a new member of the family! This book has puzzles, games and mazes all relating to a newborns care and adjusting to a new person in their lives. 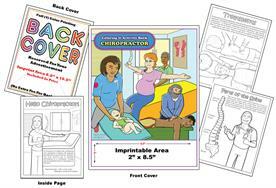 Perfect to give to children upon a visit to the Chiropractor. Used in offices across the country this book is also great for a local waiting room. Time to get healthy! Helping children understand the value of keeping your body healthy. Perfect to give to children upon a visit to the doctors office. 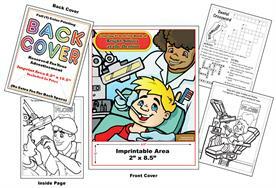 Used in pediatric wards across the country this book is also great for a local waiting room. Time to get healthy! Lets go to the doctor!Helping children understand the value of good health. Perfect to give to children upon a visit to the Eye Doctor. Used in offices across the country this book is also great for a local waiting room. Time to get healthy! 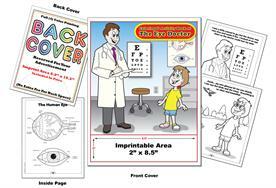 Helping children understand the value of keeping your eyes healthy. Perfect to give to children upon losing a loved one or pet. 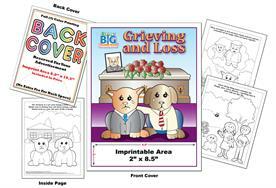 Helping children understand the value of grieving and dealing with the loss of someone close. 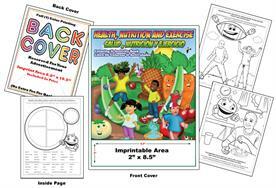 This wonderful book will help children learn about nutrition and exercise! 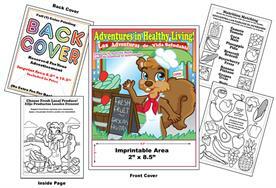 This book has puzzles, games and mazes all relating to exercising and learning how to eat healthy and live a healthy life. 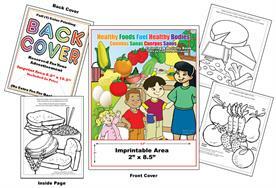 This wonderful book will help children learn about nutrition and healthy foods! This book has puzzles, games and mazes all relating to exercising and learning how to eat healthy and live a healthy life. Perfect to give to children upon a visit to the hospital. 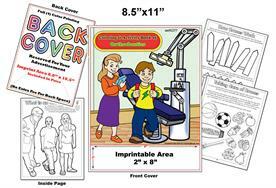 Used in hospitals across the country this book is also great for a local emergency and waiting rooms. Helping children understand what goes on in hospitals. An educational book written by teachers and educators about manners. 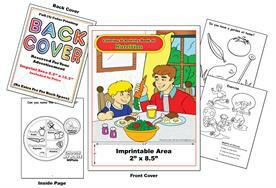 A basic fun coloring book that is full of fun facts, games, puzzles and mazes. How to respect others and be nice. 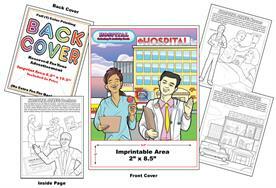 This book is designed by educators, police and fire officials. 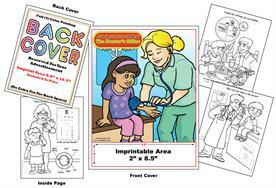 Designed for pre-K to grade 6, it teaches about prescription drug safety. Understanding the Opioid Crisis - The book and song is about no one person in particular, unless you are mentioned by name: law enforcement, politicians, drug agencies, help centers, etc. say company officials. 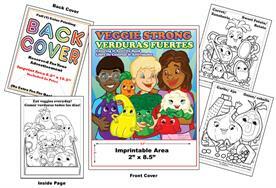 This wonderful book will help children learn about a eating your vegetables! This book has puzzles, games and mazes all relating to a veggies and learning how to eat healthy and live a healthy life.